Our final post on the nominees for the golden boy award is here. The winner of the 15th edition will be later announced this October by Italian newspaper outfit, Tuttosport. Who will win the award this year? Mbappe. You can read the other parts of the series here. The impressive Frenchman is an academy graduate of French club Paris Saint-Germain. He’s one of the most successful nominees having won the French Ligue 1 once, Coupe de France thrice, Coupe de La Ligue twice, Trophee des Champions twice (all with Paris Saint-Germain). At the international level, he won the UEFA European U-19 Championship with France and also won the Golden player and top goalscorer awards and was included in the team of the tournament. Wholly astounding for a player who’s just 20 years old. JK is another striker with remarkable pace, acceleration, strength and also powerful in the air. Naturally a center-forward, he has also been deployed on the wings because of his exceptional pace. 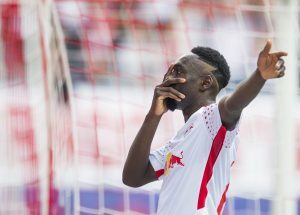 His permanent move to RB Leipzig will be the catalyst to prove to the world what he has in his locker. Life in Germany has started well for the Frenchman who has a goal and two assists in four Bundesliga games of which he has started three. An eminent nominee. Legacies are often hard to replicate. Save Paolo Maldini and Kasper Schmeichel, established players that were sired by footballing legends hardly come to mind. Federico Chiesa seems to be on his way to being a member of this elite few. 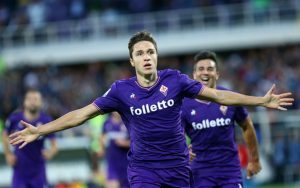 Born to Italian legend Enrico Chiesa, Federico Chiesa has gone to make an impact in the Viola setup since his official debut against Italian heavyweights Juventus. He broke his goalscoring duck against Qarabag in the Europa League and later scored his first league goal against Chievo. Not fully following his father’s footsteps, he has instead established himself as a winger instead of a striker. With speed inherited from his father, technique and a keen mind, it is no more a question of if he would come good. It is only a matter of when. 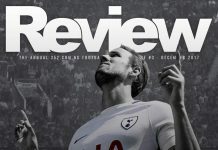 Juventus wasted no time in exercising their first option to sign the 20-year old from Boca Juniors after watching him become one of the star players as Boca clinched the Argentinian Premier division. He was also part of the Uruguayan team that reached the semi-finals of the 2017 U20 World Cup in South Korea. 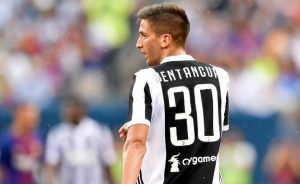 Bentancur is a technically gifted midfielder who is adept with both feet and can fit into a number of midfield positions. With his quick thinking and vision, it is easy to see why he was instrumental to Boca’s title challenge where he played 20 games with one substitute appearance and was never substituted off. Juve may have just found themselves a gem of a player and he is well worth his place on this shortlist. French-born wonder kid was pivotal in Monaco’s success in Ligue 1 last season, he amassed 26 goals and 11 assists across all competitions for the club (The most for any Monaco player). At 19 he’s already forced his way into the French senior team. Perhaps the highlight of Mbappe’s season last year was his Champion’s League performance. At just 18, he scored a record 5 goals in the knockout stages, 2 of which helped Monaco advance to the semi-final stage and then 1 against legendary Gigi Buffon. Although that one wasn’t enough to take them to the finals. 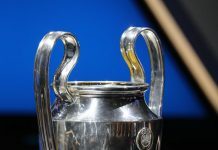 A loan move to PSG ahead of an eye-watering £166m permanent deal next season will see him team up with the likes of Neymar and Cavani. Under the tutelage of such talents, we should be sure to see even more improvement. If you are a Manchester United fan, Rashford is the most impressive young talent in all of Europe. Another United youth breaking into the first team following in the paths of the legendary Busby babes and the Fergie fledglings. The last year’runner-up has made the shortlist again after some impressive performances for club and country this year. The United youngster (Debut Merchant) who burst into the scenes in 2015 in the Europa league substitute for Martial who injured himself in warm up has managed to secure a spot in United’s 11 ahead of Anthony Martial. 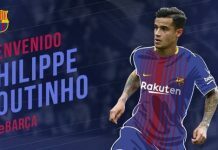 He puts in incredible work on the pitch and is ready to help the team when they defend. Rashford’s direct style of play and his pace has made him difficult for defenders to handle. He is also capable of creating chances as well as shooting from range, there are still areas of his game that need improvement but Marcus is an incredible talent for United. Rashford has scored in each of his competitive debuts and that impressive record continued when he scored on his Champions League debut last month. Rashford once again has impressed this season scoring 5 goals in 8 games and also assisting 3 others. Who will win the highly coveted award? Here is the list, once again.